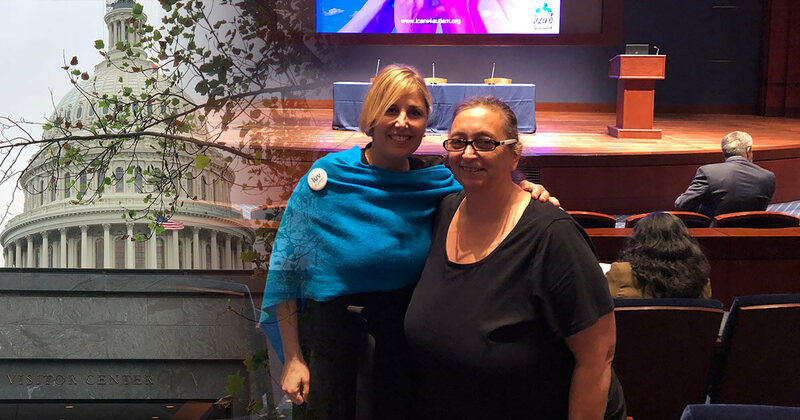 I Care 4 Autism National Conference Washington D.C.
October 10, 2018 – World Mental Health Day – Luv Michael Founder and President, Lisa Liberatore and Member, Board of Directors, Suzanne Reek attended The ICare4Autism National Conference at the U.S. Capitol. The ICare4Autism National Conference joins together experts and key U.S. officials of education and labor to introduce a comprehensive training program across the United States for high school students with special abilities. The Center for Autism Research and Education, ICare4Autism, has brought global awareness and initiated training programs around the globe. Now, the non-profit organization is announcing it’s newest initiative this October at the 2018 National Conference at the United States Congressional Auditorium. Experts and key officials will join together to introduce a comprehensive training program across the United States for high school students with disabilities, meaning individuals with special abilities and strengths as well as challenges. Our aim is to create a national, unified, and effective apprentice workforce program that includes assessment tools, transition plans, early job training, and employer networking for all special ability high school students grades 8-12. Bringing awareness and creating greater opportunities for our students is essential to our economy and puts special ability individuals on a sustainable life path. Each order is hand mixed and packed by our hard working “Granologists.” By empowering them with living wages and life skills, we are able to deliver a product that tastes good and does good too.